The talented team at Street Science programmed two special shows which gave audiences an out of this world experience. 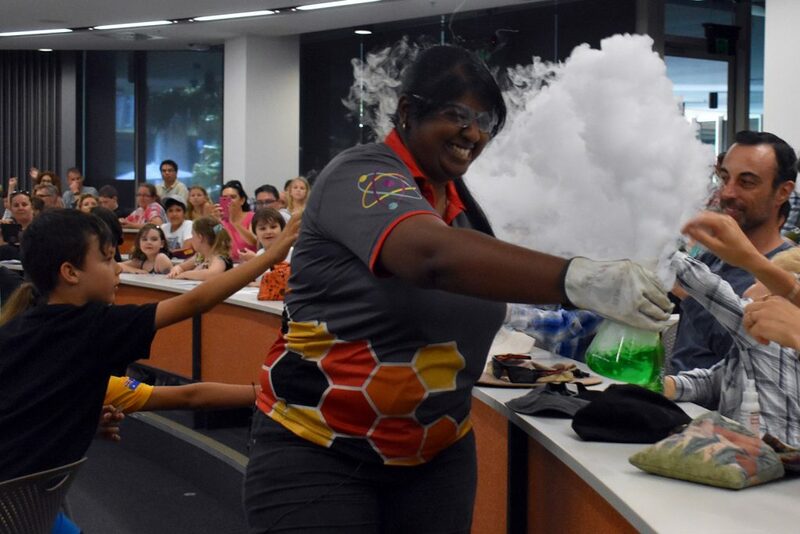 Hosts Jess and Sharon wowed the audience with bubbling gasses, blasting rockets, and wild bouncing balls. 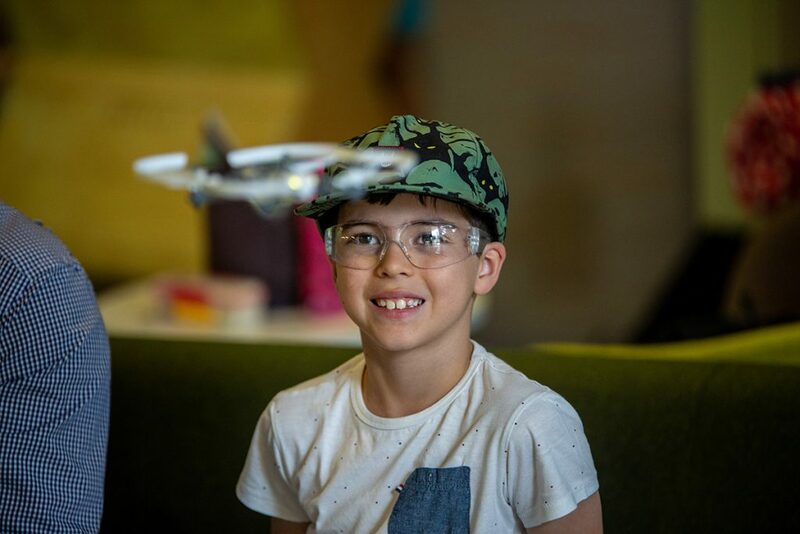 We are thrilled to team up with STEMPunks to offer a drone coding workshops where participants learn about the mechanics of flight. The task is to then program the micro-drone using Tynker and do some precision flying to navigate to the H-pad! 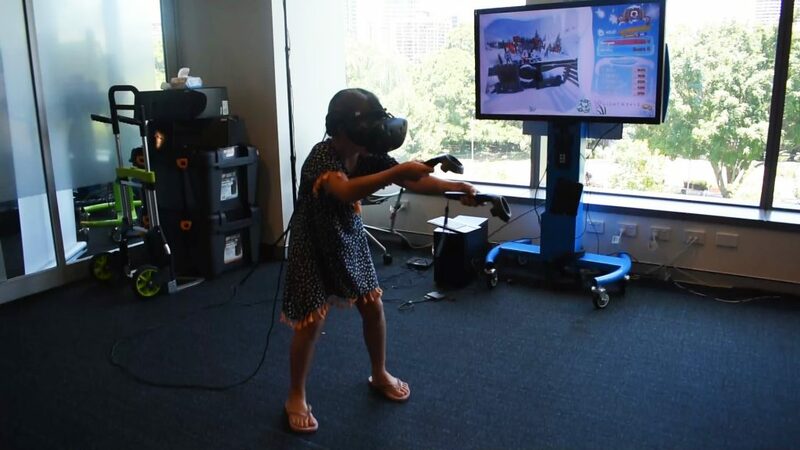 Brisbane-based tech agency, Lightweave, offer virtual reality games and we are stoked to have them on board this year. Snow Slingers VR allow players to catapult (virtual) snowballs at one another in a chilly snow environment! Lightweave’s CEO Sam Hussey is a QUT Alumnus and his team create custom AR (augmented reality) and VR (virtual reality) experiences. Mums, dads, and kids jumped at chance to don the VR gear for some snow ball slinging fun, and then relax in the AR drawing room. 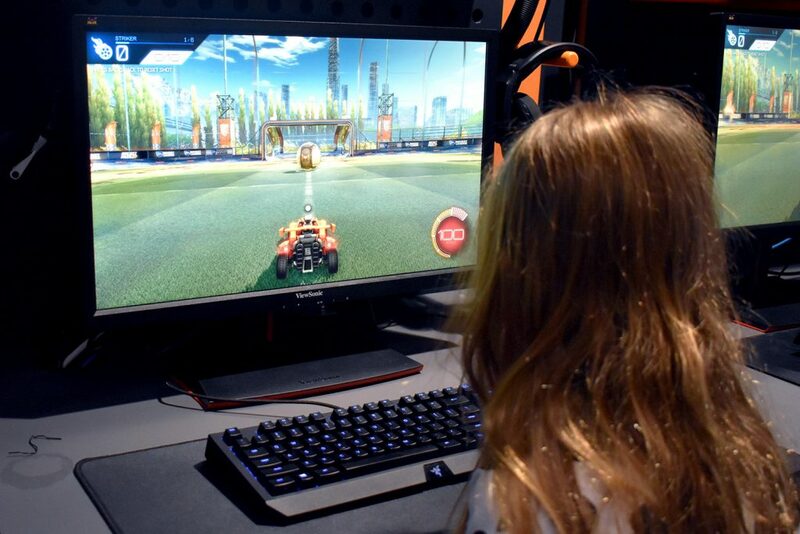 More fun and games were had at QUT’s eSports arena with kids and parents able to learn a little about the world of professional eSports, followed by some training and game play in Rocket League. Visitors also created their own virtual pictures at BOP industries Film Your Own Hologram workshop. 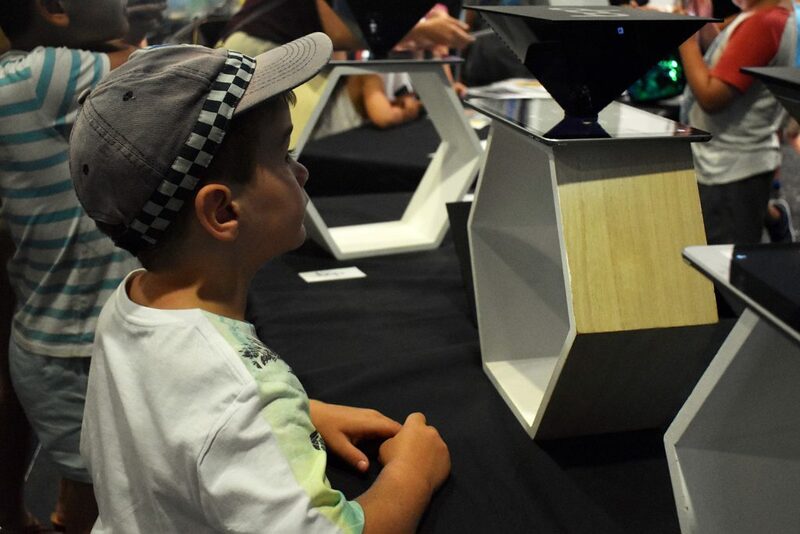 This drop-in activity got visitors to dress up, film, and turn their film into a hologram – all in the space of just a few minutes. BOP Industries is the creation of the talented 18-year-old entrepreneur Scott Millar, who was at QUT to meet with visitors over the weekend. 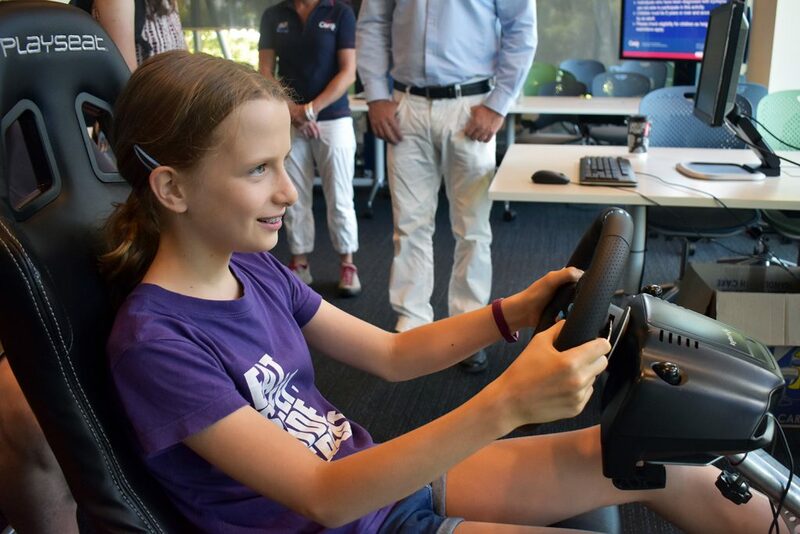 Visitors tested their driving skills in the CARRS-Q portable Driving Simulator and were invited to enter the world of VR and experience future driving on an automated drive through Brisbane’s streets. The Centre for Accident Research and Road Safety – Queensland (CARRS-Q) is a QUT research centre. CARRS-Q studies people’s behaviour on the road to inform and develop strategies and technology to keep all road users safe. A huge thank you to all our wonderful visitors and amazing local STEM hosts. 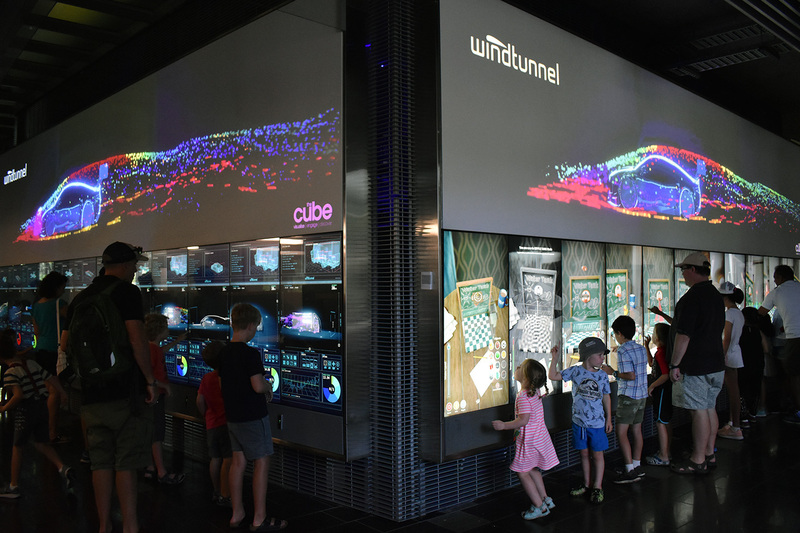 And, if you weren’t able to make it on Saturday, you can still visit The Cube and try out the new screen programs and activities in QUT’s Summer Holiday Program, running until 18 January.